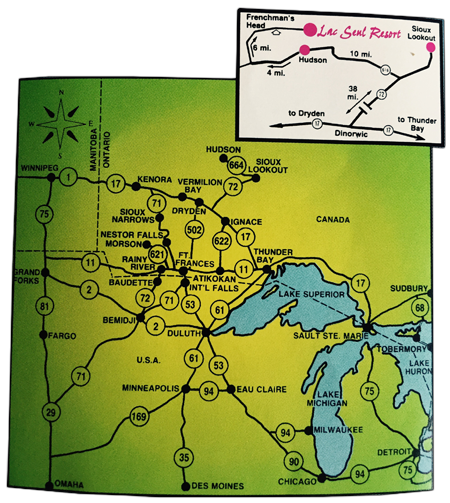 Drive up to your cabin door on excellent highways and secondary roads, or fly to Sioux Lookout's modern airport to be met by our staff. We are conveniently located half-way (approx. 250 miles) between Thunder Bay and Winnipeg, one hour north of the TransCanada Highway. Your fully equipped, two-bedroom deluxe housekeeping cabin is complemented with electric heat, shower and toilet, picnic tables, barbecues and screened-in porch.